Photo by Michael Kelly Musician David Wells starts a Grandparents Day presentation Friday at Lowell Elementary School with a horn solo. Wells, in addition to his work as a professional musician, visits schools to emphasize the importance of eradicating bullying. Photo by Michael Kelly Students, parents, grandparents and staff at Lowell Elementary School on Friday listened to and participated in a presentation by jazz musician David Wells on the prevention of bullying. LOWELL — The assembly began with the sound of a flugelhorn floating over the crowded auditorium. 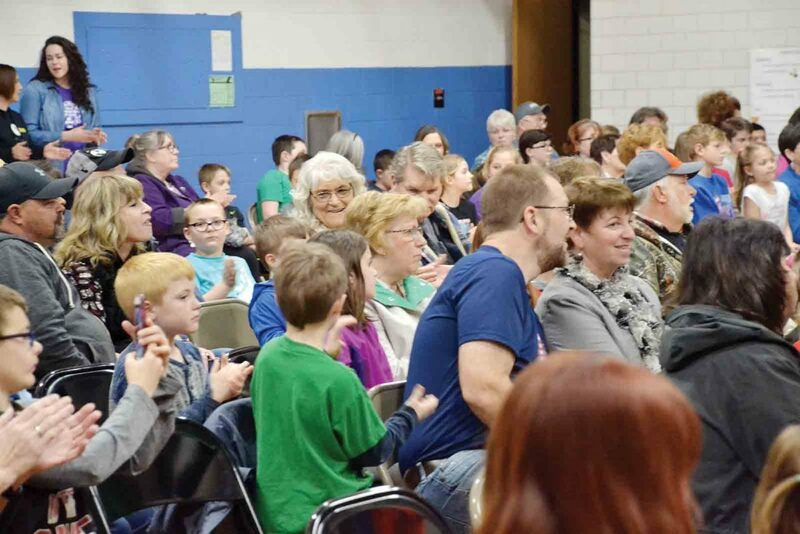 Then the recorded band kicked in and students, grandparents, parents and staff at Lowell Elementary School clapped and stomped to the rhythm. David Wells, of Vienna, a Grammy-nominated trumpet and flugelhorn player, brought his own musical message to the school on Grandparents Day, Friday afternoon. 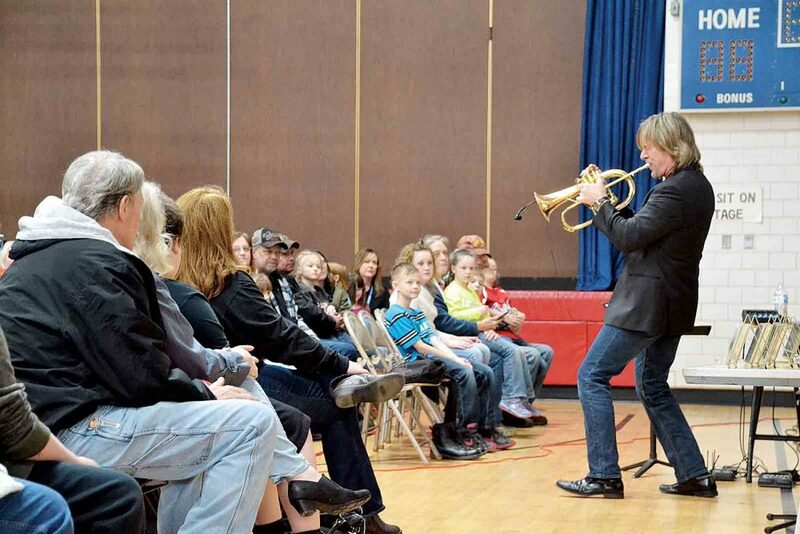 Wells, in addition to his work as a professional jazz player, visits dozens of schools a year with his hour-long music and video-supported message against bullying. Prevention of bullying, he told the students, involves taking action — standing up to the bully — and speaking out by going to a parent, teacher or other adult and telling them about it. Wells said he began playing trumpet at age 9 and now has 15 smooth jazz albums published, one of which was nominated for a Grammy award. He told the children that to do well in any endeavor requires “the three Ds” — desire, discipline and determination. Wells wound up the hour by inviting three teachers to try out playing his flugelhorn, to the delight of the audience. Wells said afterward he has been doing school presentations for about eight years. Traveling as a representative for Conn & Selmer musical instruments put him in contact with many schools, and when asked once whether he could recommend a speaker on anti-bullying, he offered to do it himself. Now, he said, he spends much of his time talking to student audiences around the country. Peyton Henniger, a sixth-grader, said he enjoyed the music and took the message to heart. “Don’t give up, don’t let them bully people, do what you can to help other kids,” he said. 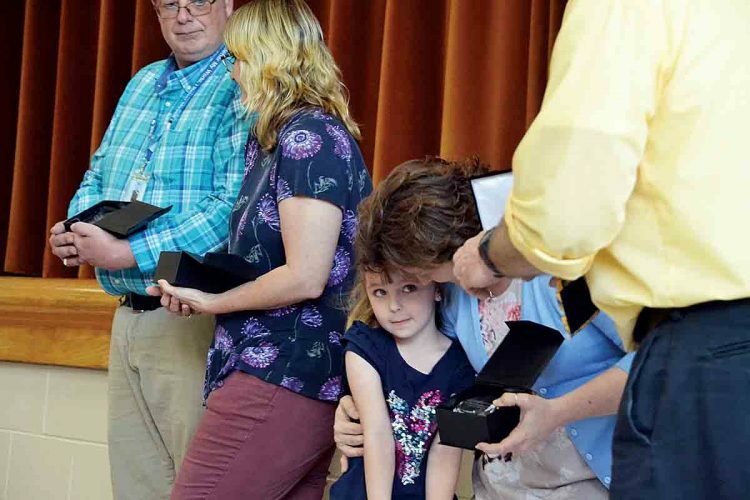 Faith Treadway, a fifth-grader, said she was moved by what Wells said. 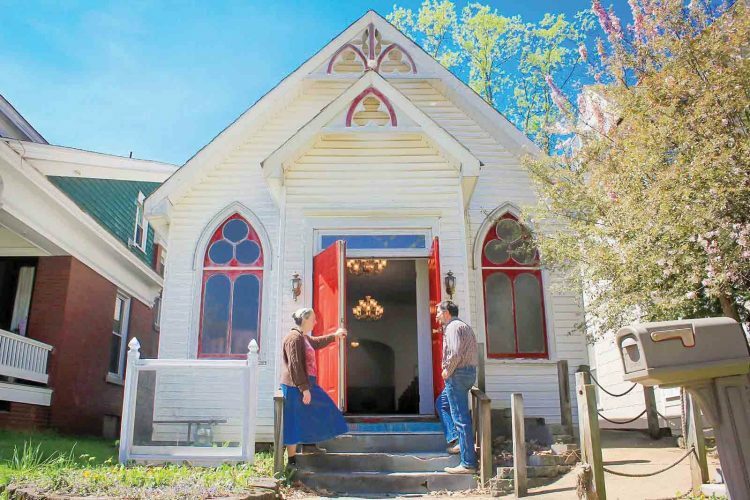 “He made a lot of interesting points about bullying,” said fifth-grader Moses Dye. Peggy Douglas came to the school Friday from Marietta to be with her grandchildren at the school. Wells, who grew up in Dallas, Texas, established the Chocolate Jazz Foundation, a nonprofit that produces a weekly anti-bullying show, “The Bully Resistant Show,” and publishes and produces inspirational material that includes inspirational interviews with athletes and other prominent public figures. The foundation can be accessed at davebond.org.